This was phlox bloom last spring. Phlox makes for a bright border plant and grows well in containers. It's a beginner's delight since it's relatively easy to grow. They are available in wide range of colors like pink, red, lavender, purple, and white. You could plant it with ferns or vines or other herbaceous perennials to make it more attractive. See the bright green sweet potato vine in the picture. Isn't it beautiful? Phlox grows from seeds and need shade, moisture and loose soil to germinate quickly. The seedlings can be transplanted in 3 weeks into containers and window boxes. A well-draining potting soil mixed with organic compost works best. Phlox thrives in sun and needs to be well watered but not allowed to sit in water-logged soil. Left to dry, phlox wilts and the leaves turn brown. As the plant grows and the tips are pinched, flower heads will be more. The plant might need to be staked as they grow unless you like the trailing effect. They begin flowering in 2.5-3 months from sowing, and bloom for 2 months. Urban Green, glad to know you. I am so happy to know that there are someone like you in New Delhi who loves to garden. The last time I was there, about 10 years ago, I do not remember seeing a lot of flowers nor greens. I think everything has changed now for the better. I would love to know you better. I like these phlox flowers. They so pretty and the sweet potato vine, so bright and cheerie. Have a great day! @Joy: Oh yes!...I can be really brutal at times, may be I should do a post some day on this :-)...Good luck to you! Hope we get to see some pictures soon...! Such beautiful photos! Thank you for the Phlox tips. Pink and lime green are so lovely together. yap the phlox are beautiful and they attract butterflies in my garden as well. sadly, i cannot grow perennial phlox because my climate does not allow that. i am delighted, another blog on urban gardening. keep posting. @Flowers: Thanks for stopping by and leaving me a note of appreciation...hope to see you around. Loved your blog. I am absolutely new to gardening. Like u I've moved from a small town with lush lawns & gardens to space sarved Kolkata. 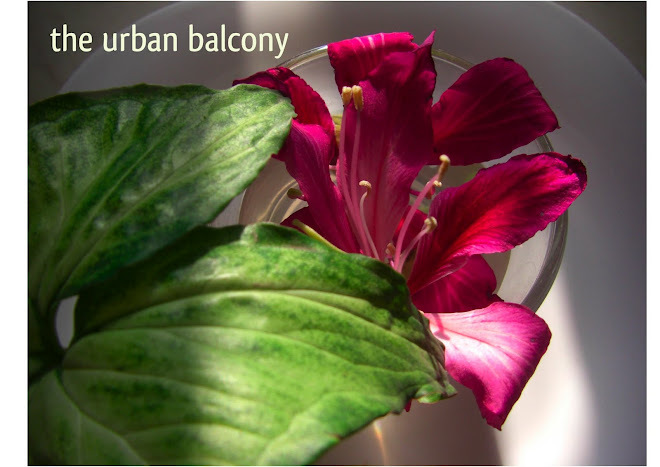 I tried with a few balcony plants but they did not grow well. I need to learn a lot & I feel really inspired by you. @Monika: Thanks so much...! Am glad you liked my blog...and I do hope you find your green corner soon...see you around. Hello Urban Green! I love phlox. It spreads and its blooms last long. This summer, I discovered that deers also like it. They ate the buds 3 times! That is why it started to bloom late in my garden. Even after such abuse, it blooms nicely. It looks like deers pinched the tops of it for me! Thank you for your kind comment on my last post! hi urban garden,nice to have found you.By the way i am a horticulturist.Its nice to see people having similar interest.thanks. Hi Urban Green, I was happy to get a visit from you;-) I love phlox...and wish the deer didn't love it! BUT, it has really done well for me, even with the deer nibbling it frequently. I didn't realize it was a 'good' thing to pinch off the tops. No wonder mine have become so full! Perhaps the deer (even though they eat it down TOO far quite frequently) really aren't wreaking as much havoc as I had thought!! Do you have the bachelor’s button?